I changed my mind. 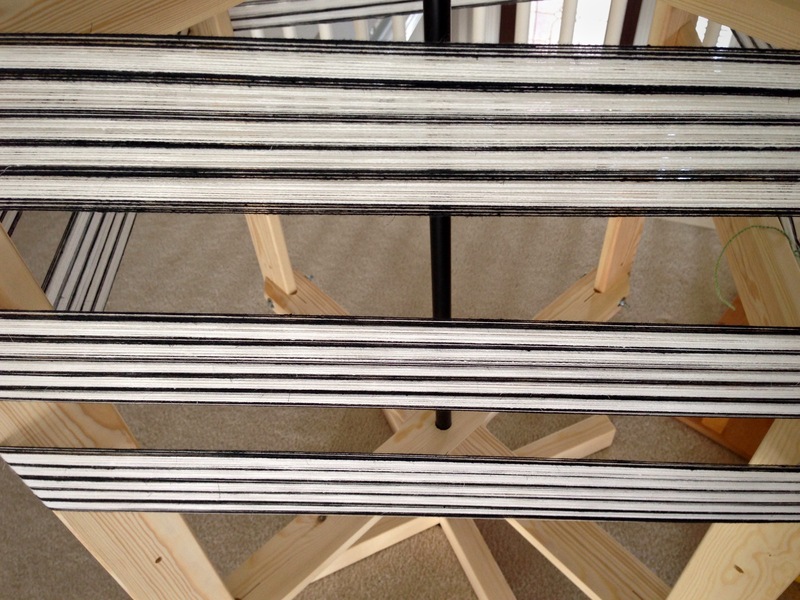 A long zebra warp (formerly known as black and white) will not be boring. When I come to the end I’m certain I will wish I had an even longer warp. The first few picks are already amazing. Design possibilities are flying through my mind! 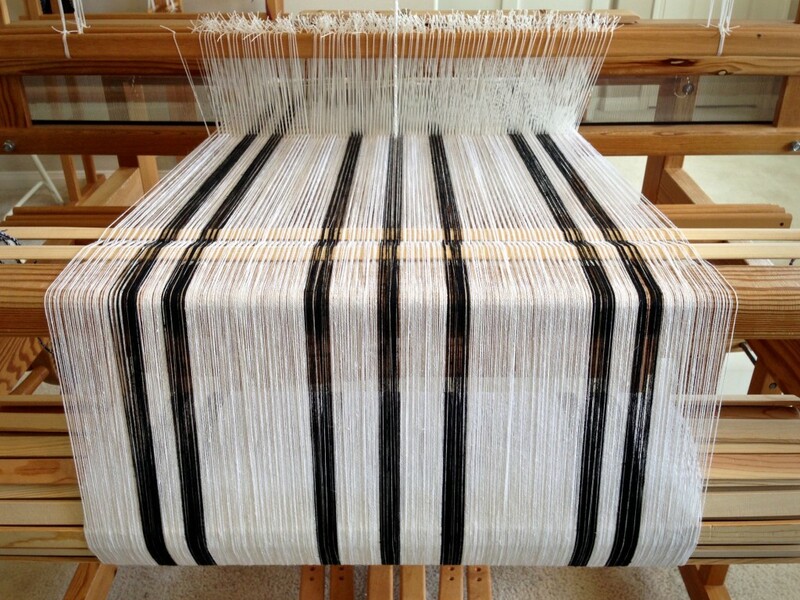 Zebra warp has taken over my Glimåkra Ideal loom. There are 10 1/2 meters (11 1/2 yards) of thick and thin threads. This is plain weave. 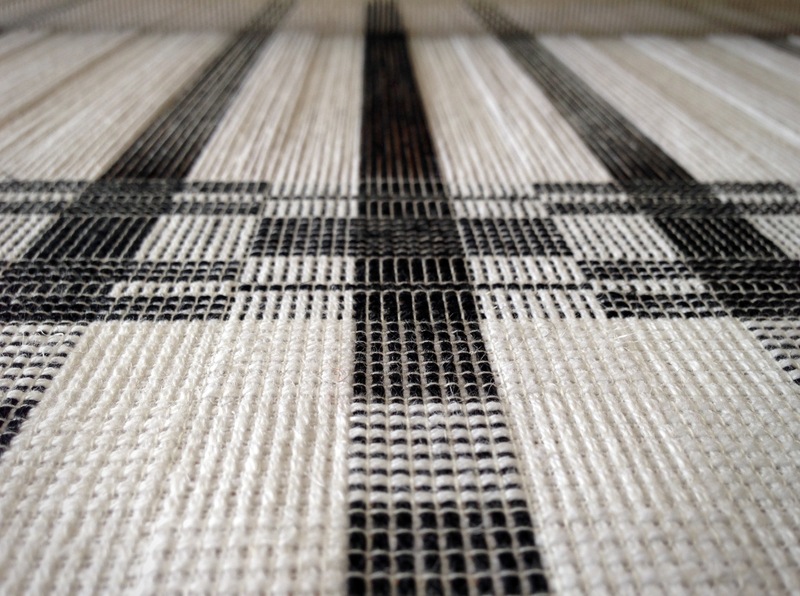 But here, the plain weave is transformed with thick and thin threads–in warp and weft. Combining thick (doubled 22/2 cottolin) and thin (30/2 cotton) gives me two blocks to work with. I am using two shuttles, one of which is a double bobbin shuttle. As always, weaving feels like magic. All I do is dress the loom and throw the shuttles, and exquisite cloth magically appears! First few picks reveal interesting design options. Leveling string across the beginning of the warp eliminates the need to weave scrap yarn to spread the warp. First towel has a border design–one element that sets a handwoven towel apart. God’s faithfulness is like a long zebra warp. It doesn’t seem elaborate or noticeably fancy. It’s been there forever. His faithfulness is known among the angels and all of heaven. God’s faithful love is as constant as day and night. We take notice when we see beauty appear, like kindness from a stranger, or love from a friend, or inner peace from doing the right thing. As the shuttles of life traverse the threads, the evidence of God’s faithful love is revealed. Always and forever. May you enjoy endless design possibilities. I so look forward to your postings. They are all so very special. Thanks for sharing your thoughts. Loyanne, I’m so glad you find special meaning here. I appreciate you letting me know! Every good bag deserves a good lining, with pockets inside and a zipper on top. This handwoven rag rug bag is no exception. The lining fabric is some of the same fabric that is woven in the bag. 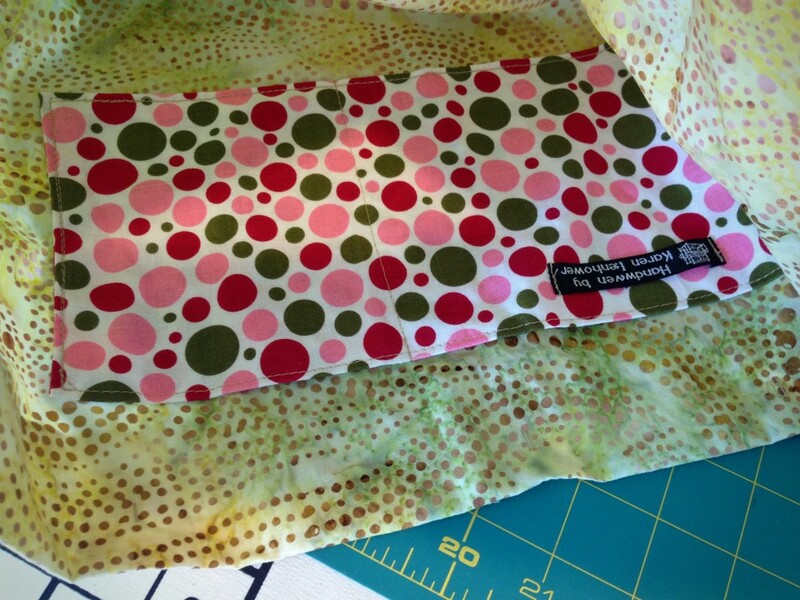 The polka dot pocket fabric is a cheery piece from a visit to The Philippines. 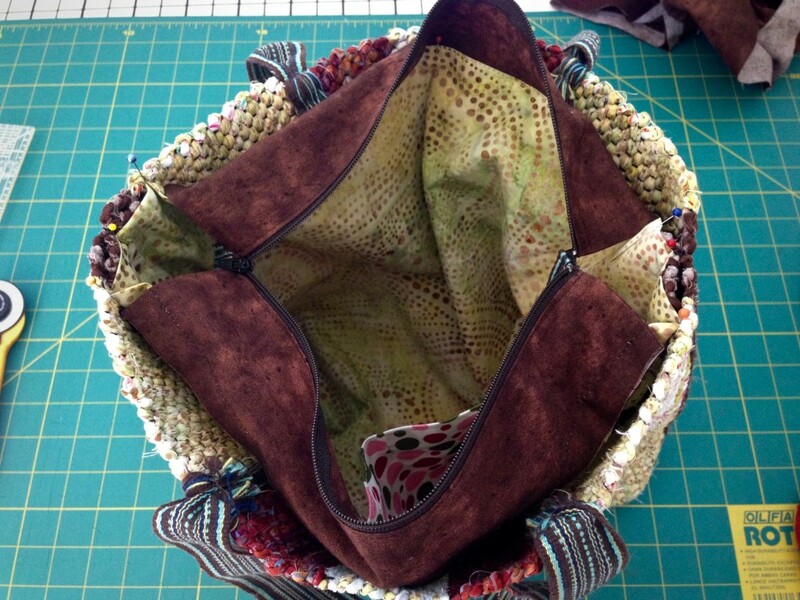 The completed zippered tote is a perfect fit for my small tapestry frame, and goes with me when I travel. 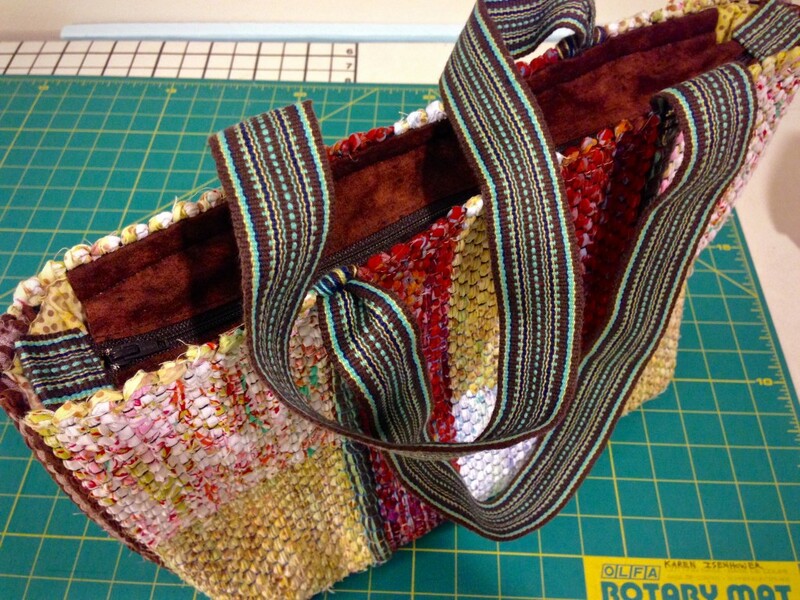 Quiet Friday: Weave a Bag with Handles shows how I made the bag. Fabric for lining. Lay bag on top of folded lining fabric, with bottom of bag aligned with the fold of the lining fabric. 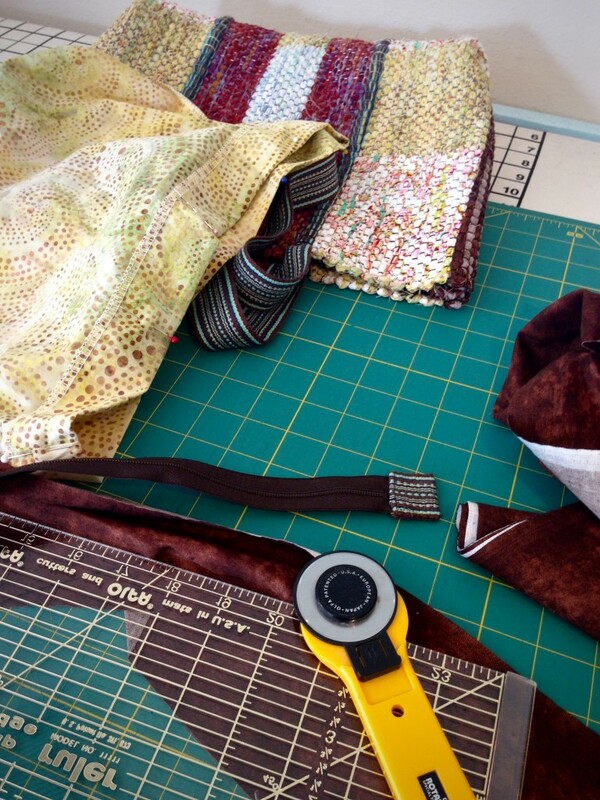 Cut the folded fabric a generous 1 1/2″ wider and 1 1/2″ taller than the bag. Fabric for pocket. Mark two pieces of fabric (or use a folded piece of fabric) the desired pocket size. 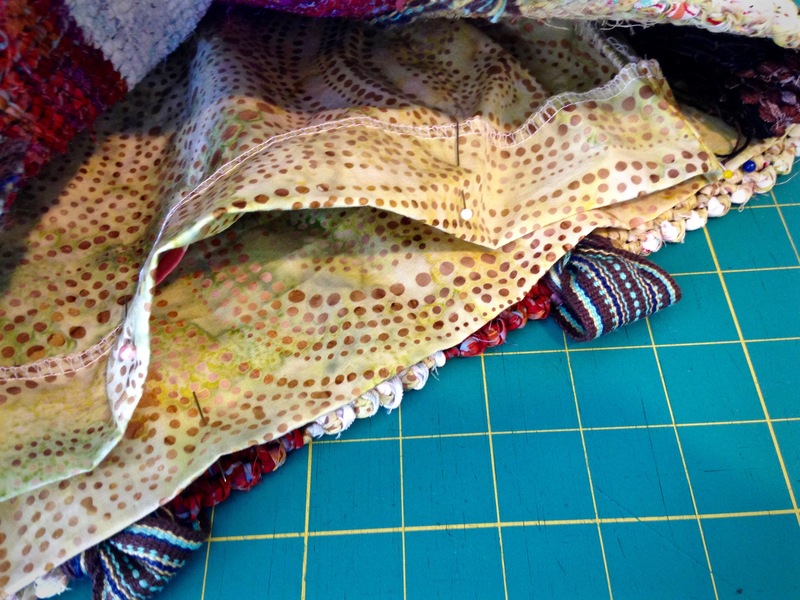 Add 1/4″ seam allowance. Cut along the marked lines. Stitch, right sides together, leaving an opening for turning. Turn right side out, pushing out corners. Press. Topstitch all four sides. Fabric for zipper insert pieces. 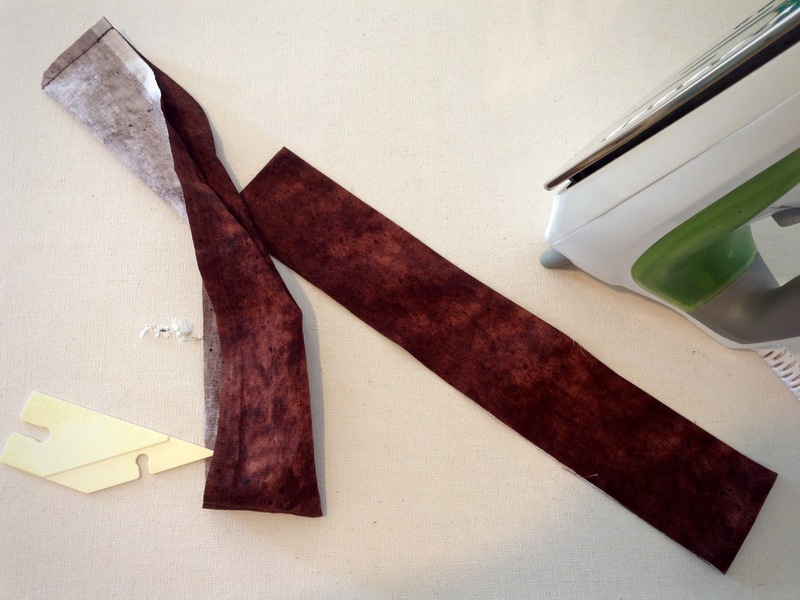 Cut two pieces of fabric 4 1/2″ wide by the length of the zipper plus 1″. Tabs for ends of zipper tape. Cut from handwoven band or piece of fabric with sides folded under. 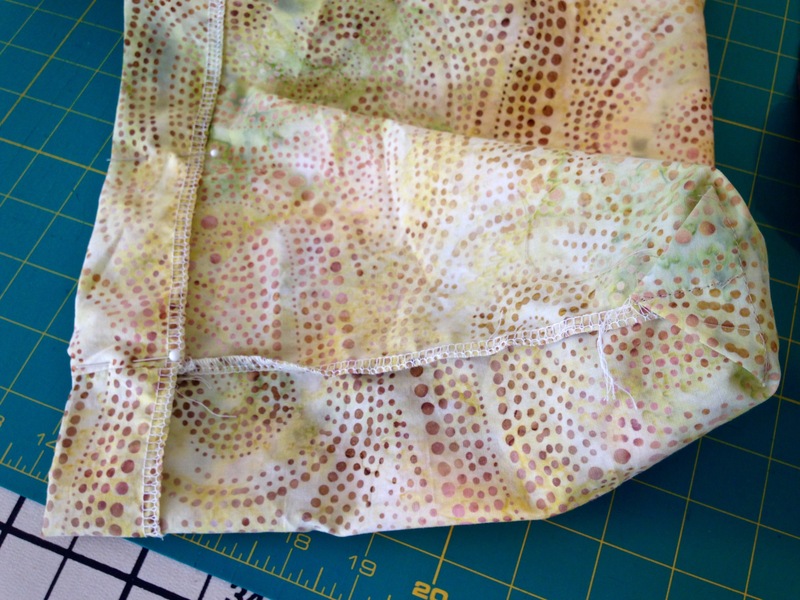 Sew bottom three sides of pocket onto lining fabric. Stitch a dividing line on pocket. Stitch sides of lining, right sides together. Fold and stitch box corners. 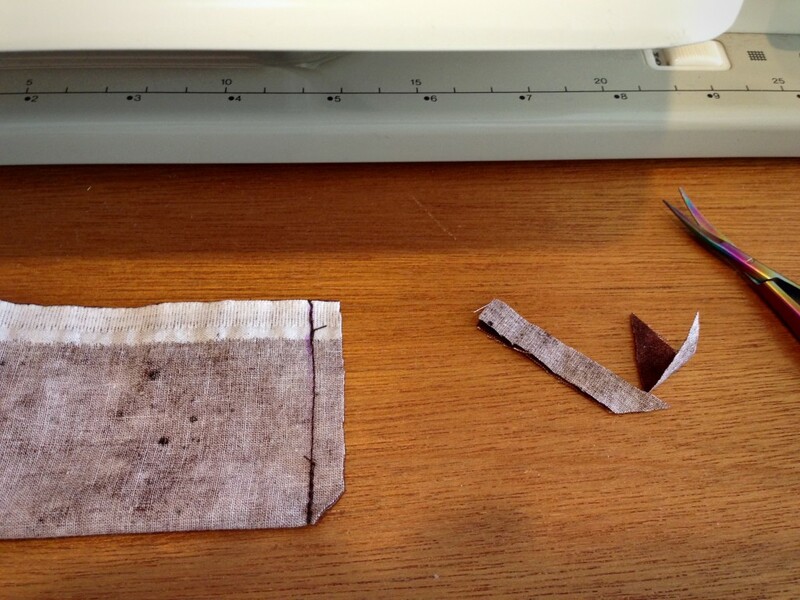 With lining seated in bag, fold down top edge of lining, so that folded edge fits just inside top edge of bag. Pin folded edge of lining and remove from bag. Set aside. Bar tack top ends of zipper tape together. 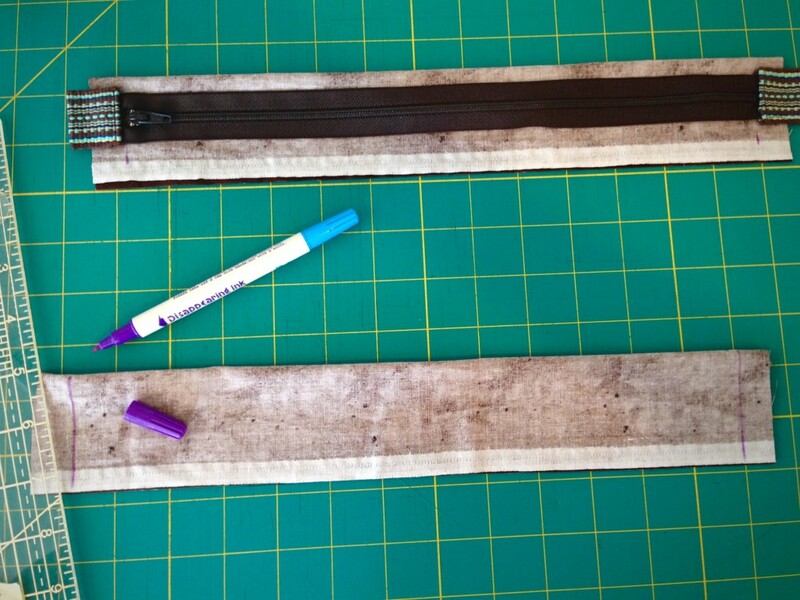 Bar tack over end of desired zipper length. Cut off excess. 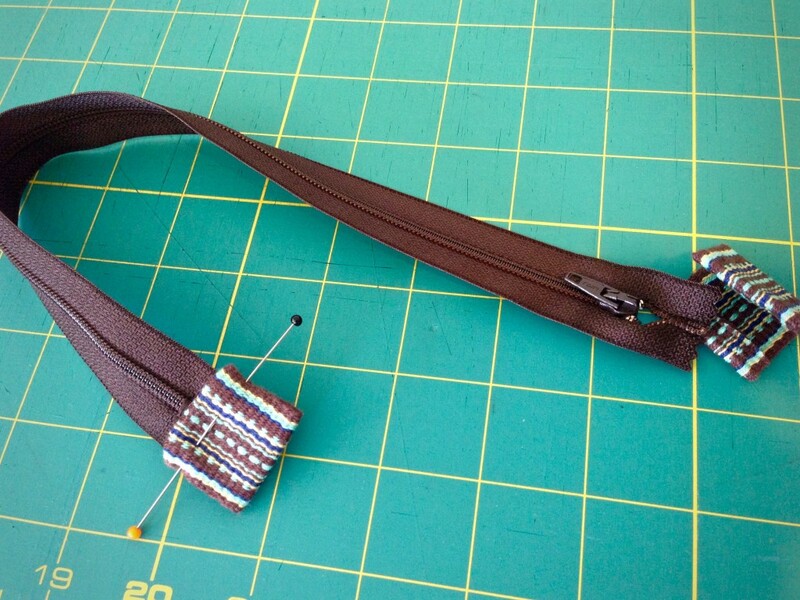 Cut a tab from a woven band, or from fabric with sides folded in, to fold over each end of zipper tape. 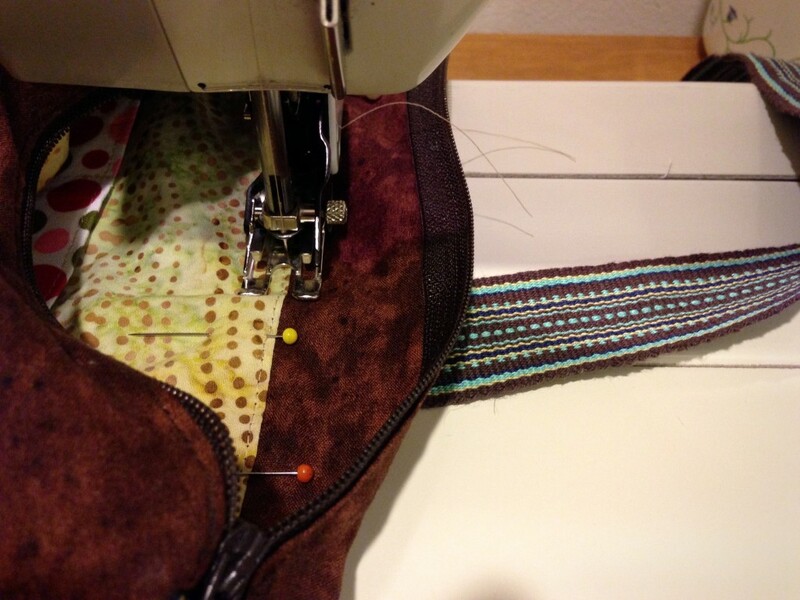 Use zipper foot to stitch tabs over zipper tape ends. 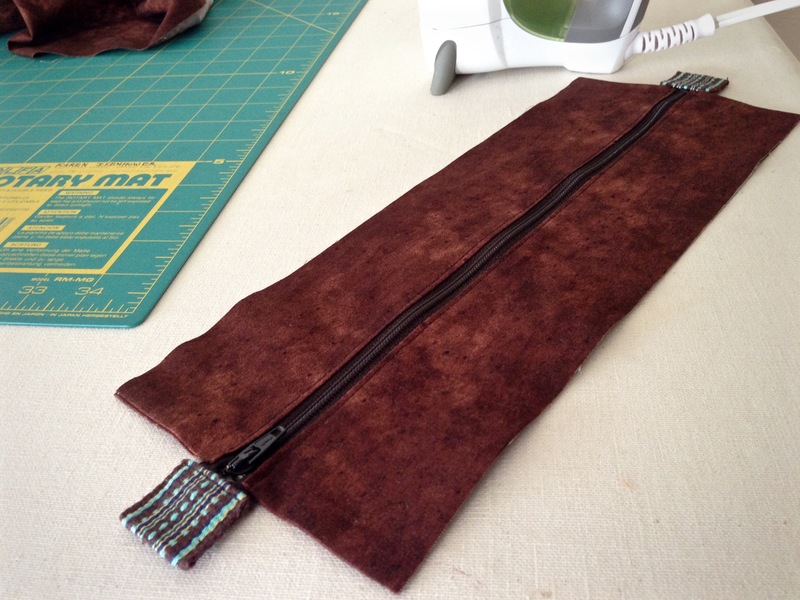 For zipper insert, cut two pieces of complementary fabric 4 1/2″ wide by the length of the zipper, plus 1″. 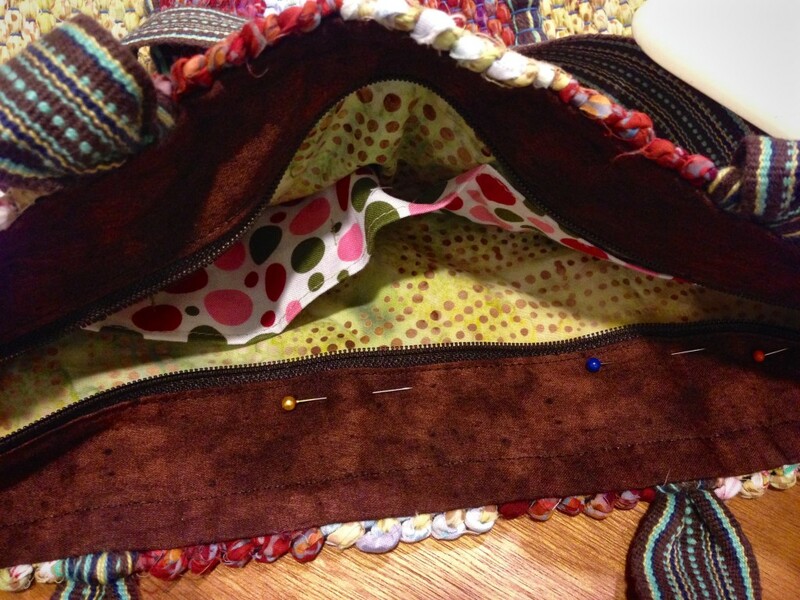 Fold each zipper insert piece lengthwise in half, right sides together. 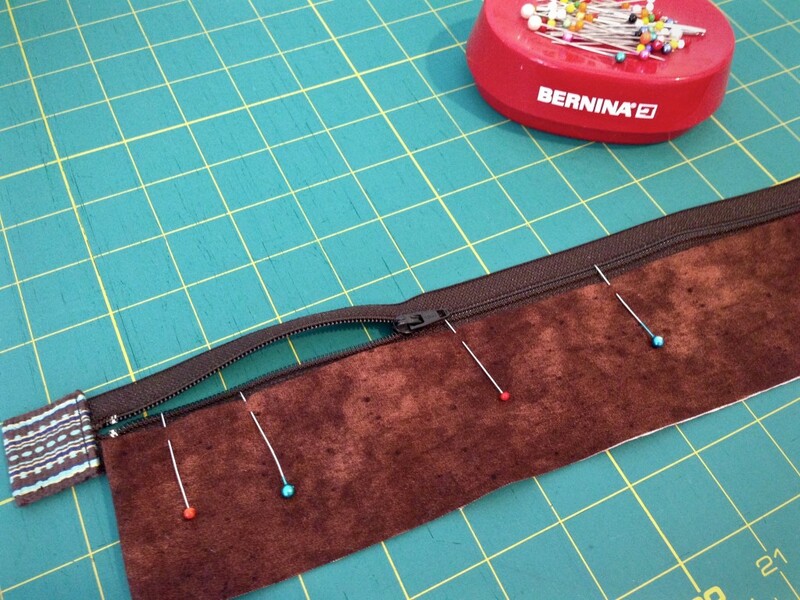 Draw stitching line that matches length of zipper. 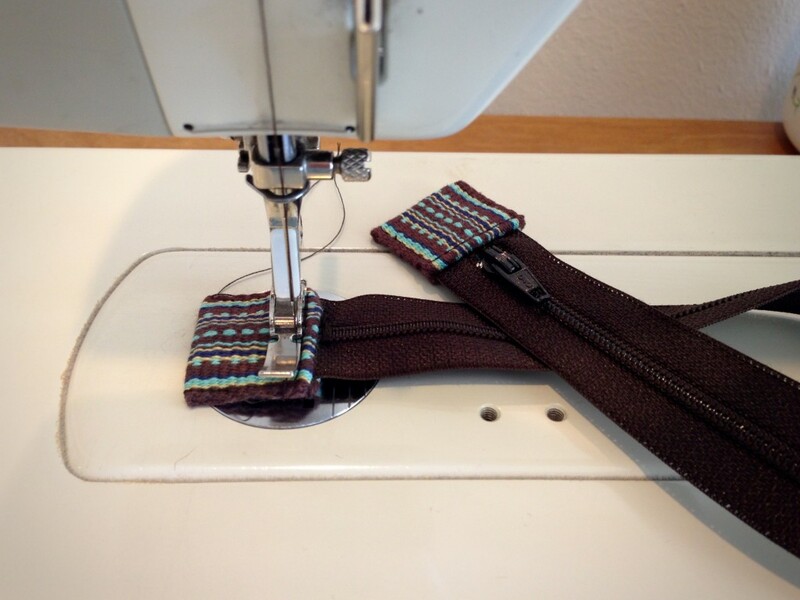 Stitch both short ends of zipper insert pieces. Clip corners and trim seams. Turn zipper insert pieces right side out. Push corners out. Press. Pin folded edge of zipper insert fabric to right side of zipper tape, centered lengthwise, 1/8″ away from zipper teeth. Open zipper partway. With zipper foot, starting at top end of zipper, topstitch close to folded edge. After stitching a third of the way, with needle down, close zipper, and then continue topstitching to bottom of zipper. Repeat for other side of zipper insert. Press. With zipper opened, and zipper tab down (picture shows zipper tab up, after having pinned both sides), center and pin one side of zipper insert under one side of folded top edge of lining, so that lining overlaps insert 1/2″. Repeat with other side of zipper insert and lining. Fold zipper inserts down into bag. Press. 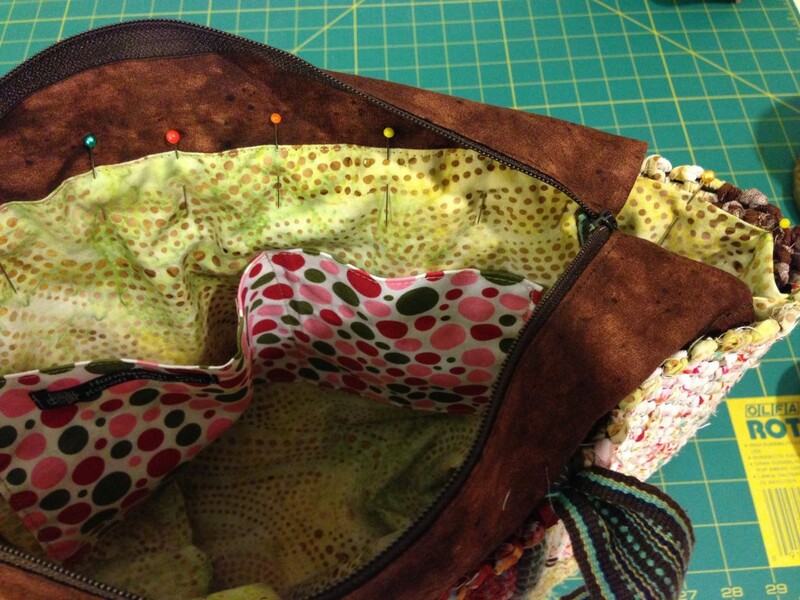 Stitch across zipper inserts 1/2″ below top of lining on inside of bag. Press again. Give your new bag a special purpose. May your lining on the inside be as attractive as your handbag on the outside. Some things are black and white. 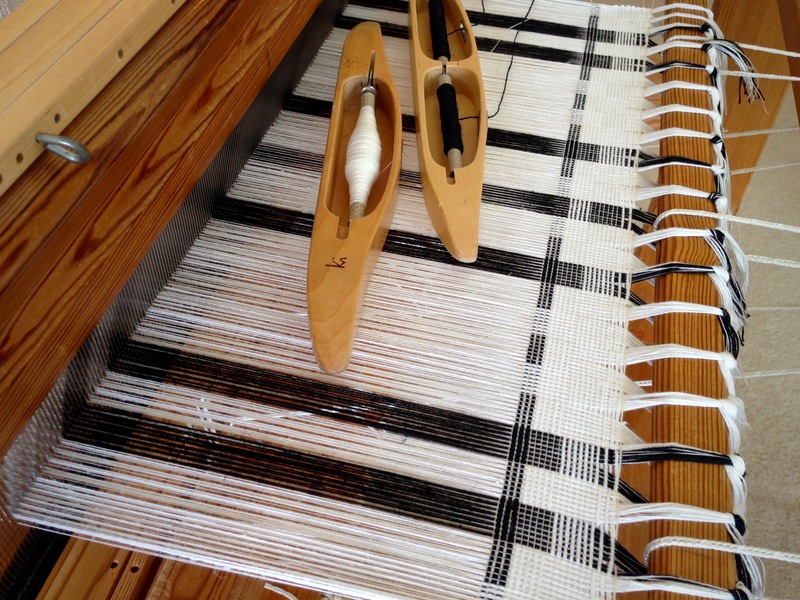 Piano keys, penguins, old movies, and this new cottolin warp. Other things are not black and white. Petunias, peacocks, sunsets, and most of my weaving. Black and white is uncomfortable for someone like me who prefers to engage with color. 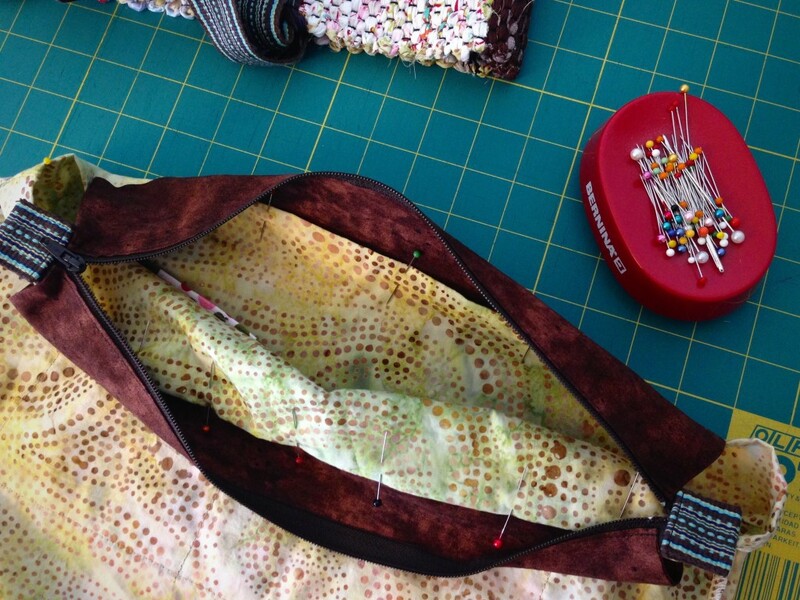 Ten-and-a-half meters is a loooong time to be weaving without a colorful palette. Second bout of three. New Glimåkra warping reel is used to wind 10.5 meters of cottolin (60% cotton; 40% linen) in black and white. I need to add more towels to my Etsy shop, so I did some Google “research” to find popular kitchen colors. Black and white is one of the current trends. I decided to go for it. Using color for some of the weft should be enough to remind me that the black and white is temporary, and that a colorful warp will eventually be on the loom again. When we need reminders that everything will be okay, the Lord brings something or someone into our lives to show us that he cares. God is good. Even a small sign of his goodness is enough to help and comfort us. A touch of color on a long black and white warp may, in fact, be color at its greatest impact. May goodness cross your path. Hi Cynthia, thanks for stopping by. I appreciate the feedback! I know you’re right. Maybe I need to rethink the pricing on those pillows. 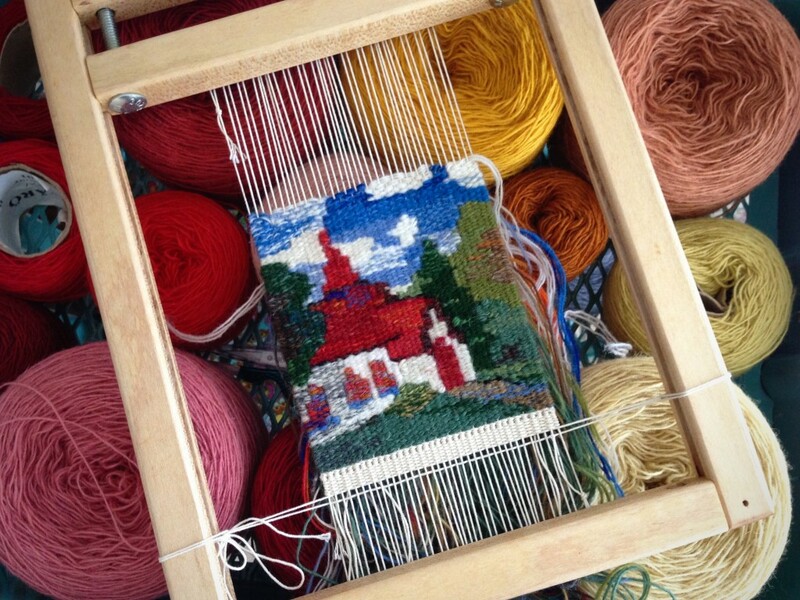 This little chapel tapestry is growing line by line. 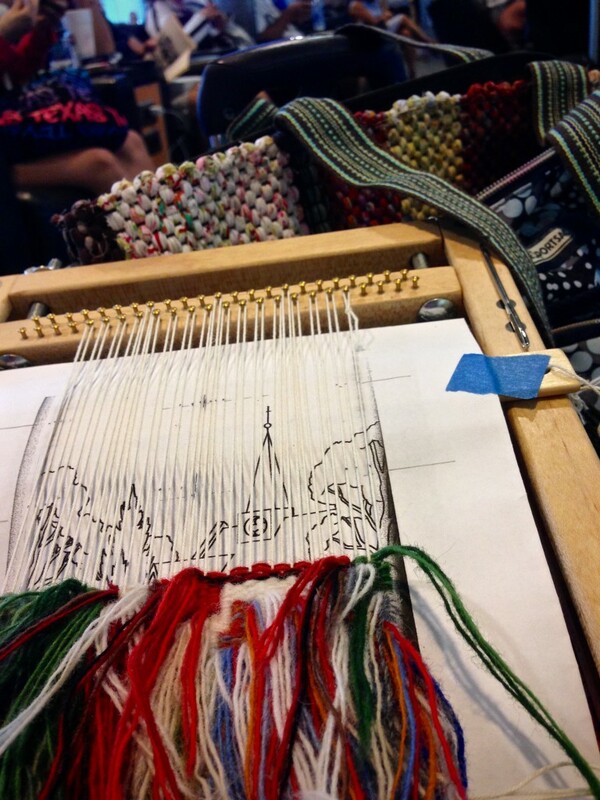 I am weaving from the back, left to right, a single line at a time, following a cartoon. I create shades of color by blending three strands of soft Fåro wool in seemingly thousands of combinations. 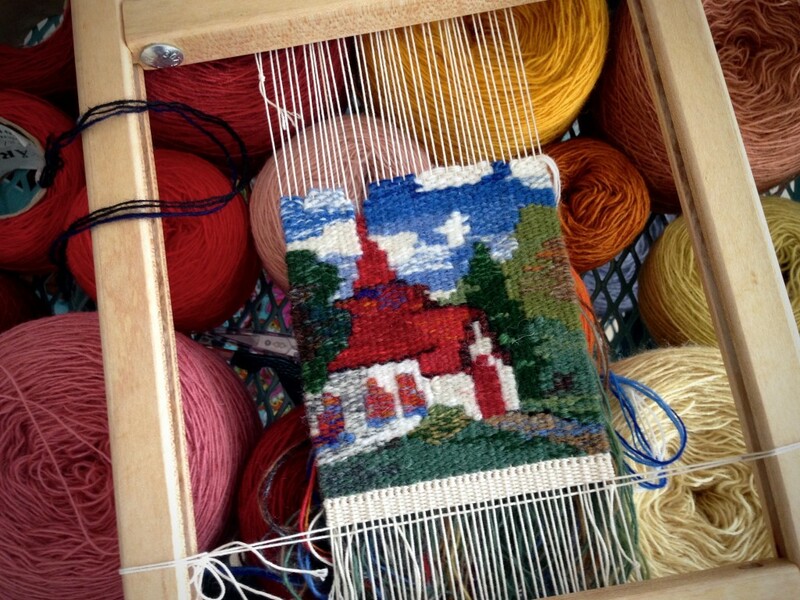 Weaving small chapel while waiting for my delayed flight at the airport. Chapel steeple in cartoon presents a challenge. I knew all along that the slim spire of the steeple would be a challenge. Will I have to leave off the uppermost thin line and cross? Honestly, leave the cross off the chapel? I don’t think so. Maybe wrap around a single warp end with half-hitches, and weave the short horizontal line over just three warps… Hmm, that doesn’t work–too robust for this little chapel spire. First attempt to weave the steeple cross. Bulky and distracting. Black yarn that formed the cross is removed, leaving a gap. Weave through the empty spaces. Some of the sky is removed in order to sufficiently weave over the gap. 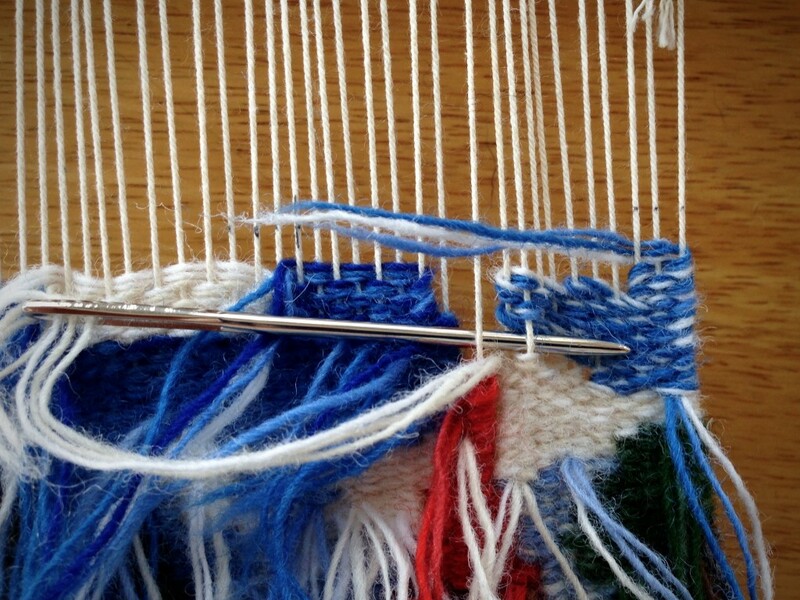 Closing the gap by weaving existing threads across, and weaving removed threads back in. Chapel steeple without a cross. Aha! 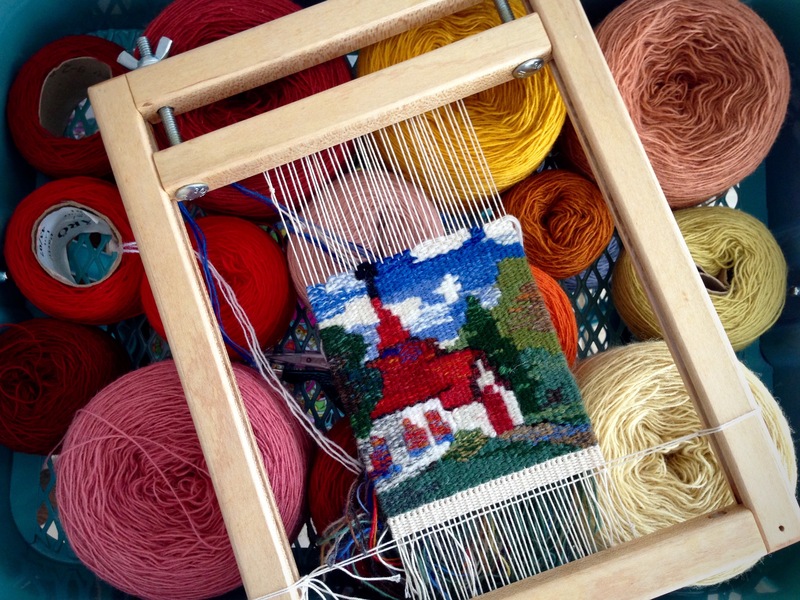 …Embroider a single-thread cross. 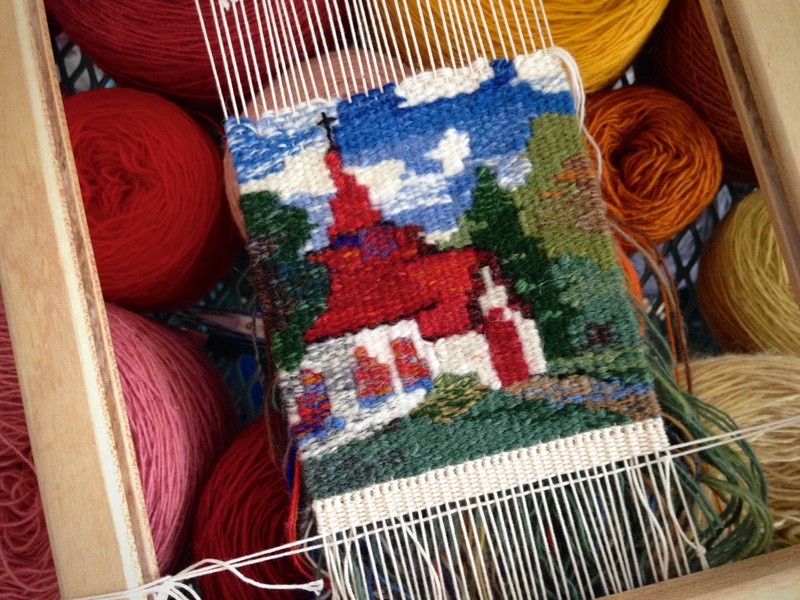 Single strand of Fåro wool is used to backstitch a cross on the steeple top. Elevated cross on the chapel’s steeple gives meaning to the woven scene. Keep your eyes on the destination. If a cross is needed on the tip of the spire, keep trying until you find a way. With your heart set on the destination, the Lord gives strength for the journey. Don’t give up when things are not working out. Take a step back to view the whole scene, and you will see how the cross completes the picture. May you have strength for the journey. I love this one! Step back for a minute and you will see a different way that works better! Hi Liberty, so many applications to this simple principle… You worded it perfectly! This is meant as helpful……Your yarn is too heavy. Next time use 1 one strand. Takes longer, but the finished product is more realistic, because the weaver can actually make the colors look like they’re not stepped. There is a technique for rounded edges that lays in a thread along the color change edge to make it look smoother. Your answer to the cross problem is great. Thanks for your input. I could use one strand of Faro wool if I started with a finer sett. I might do that next time. Or I might choose a picture that doesn’t have as small of detail as this one. Karen: are you using slit technique? Do you know shared warp? It doesn’t have to be every row; you can skip a couple of rows then share that warp. It really works well especially if one of the wools is fine. The heavier wool becomes the dominate and hides the fine. If the line of fine wool is only one warp thread wide than share on either side unevenly. Start as slit, share one warp on left then on right continue slit for 3-4 rows then share. Hi Linda, for the small tapestries I use slit technique primarily, but I can see how shared warp would help on scenes like this. I know that technique, but I haven’t used it enough to be “fluent” in it. Thanks for the suggestion. I’m so impressed with your tapestry! It looks like it’s painted with yarns instead of with inks! Hi Karen, You put a smile on my face today. Thank you for the sweet compliment! What loom is this? 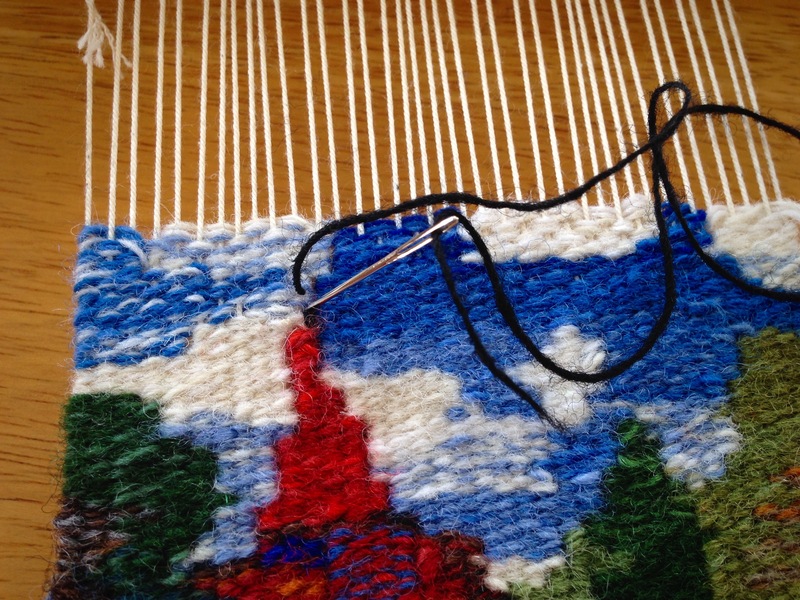 I like the metal pins for holding the warp threads. Hi Kimberly, This loom is one my husband built for me. He put in brass nails for spacing and holding the warp threads. How Hard Is it to Stamp the Warp? 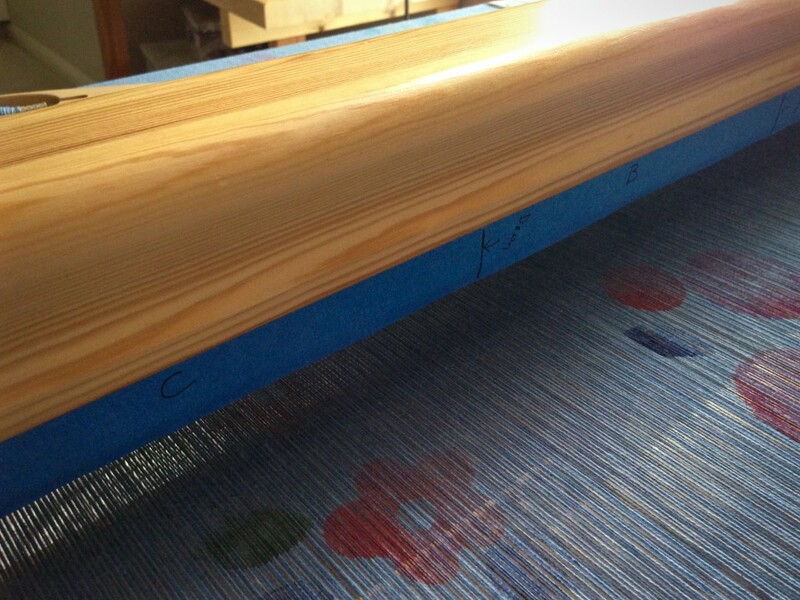 To stamp the warp, I stand on the foot beam at the front of the loom and reach over the beater. 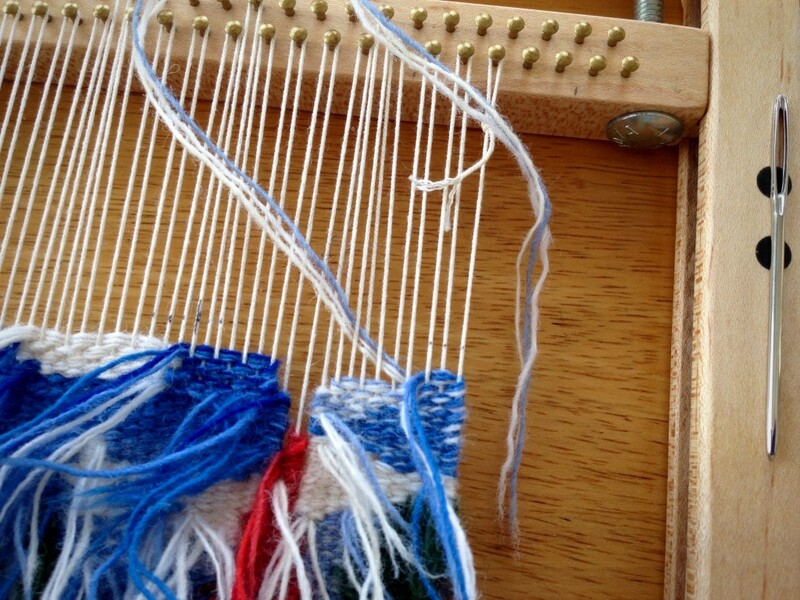 A six-inch board hangs just below the warp on loops of Texsolv cord, behind the beater, as the platform for the stamping and painting. A strip of blue painter’s tape stuck onto the backside of the beater divides the warp into three sections–A, B and C. The sections denote three tiers of a tiered skirt for which this fabric is intended to be used. Back of the beater is marked with blue tape that shows the A, B, and C sections of the warp. I was concerned that this would be hard to do–thinning the paint, reaching over, stamping in sections, letting it dry before advancing the warp, and so on. But it is not nearly as hard as I anticipated. It’s not actually hard at all. When I step on the foot beam at the front of the loom, and reach over the beater, with paint palette (disposable plastic picnic plate) in one hand, and stamp or paintbrush in the other, this is my view. Similarly, at times it seems hard to do the right thing, even though I know that loving God means walking in his ways. Simply thinking something is hard to do, though, is not reason enough to avoid doing it. And, more often than not, we find that doing the right thing is not hard to do, after all. May you do the right thing. I so enjoy your blog. I hope you are considering publishing your thoughts in to a deveional book . They seem to be just for me. Thank you. Hi Loyanne, it touches my heart that you find encouragement in the things I write. I don’t have immediate plans to publish a book, but I shall let that idea stir in me for a while and we will see what comes of it. I was so excited to see your post! I have been experimenting with this on my rigid heddle loom and am having fun trying different things, stamps, stencils, and free hand doodling. I don’t have a project in mind yet, but it is fun! I will be anxiously waiting to see the finished project. Have fun! Hi Cari, it’s good to hear from you! 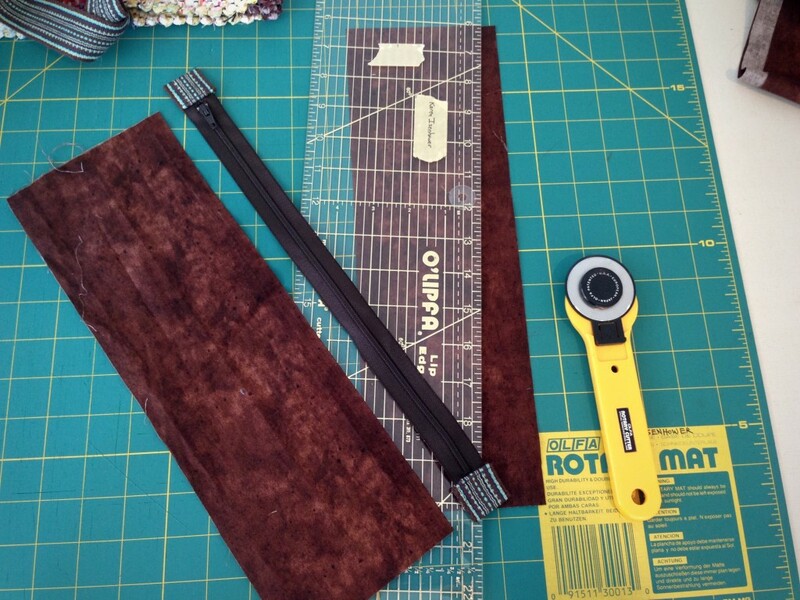 What a great way to experiment–using your rigid heddle to try out stamping, etc. I never thought of doing that! Maggie, I’m glad you enjoy visiting this space! I am not using traditional fiber dyes. I wanted something simpler. I am using Tulip Soft Matte Fabric Paint that I found at Hobby Lobby. I put a drop of paint on my palette and mix in a few drops of water with my brush to make it almost as thin as a dye. 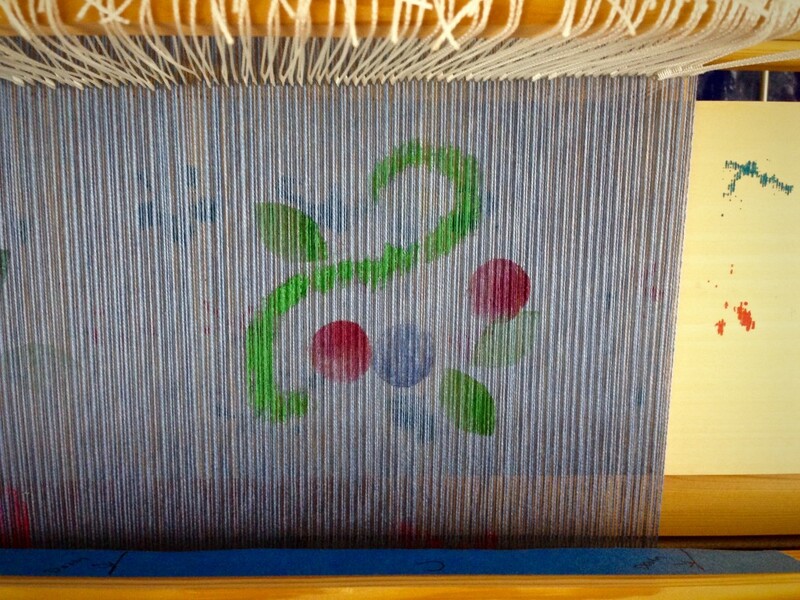 If it’s too thick, the warp threads stick together as they dry. I’m still working on getting just the right solution – not too thick and not too thin – so that enough color comes through. The darker colors seem to work the best for this.